So, here’s what you should do in order to avoid those disasters. Hire a good electrician. There are many ways to be sure that you get a good one. Here are some of them. Read: Lowe’s Electrical Supplies. 1) Ask a realtor, friends, or family for recommendations. Word of mouth is a powerful tool, and you may find that they have know a variety of skilled electricians that you didn’t know they knew about. 4) Get educated on codes and practices, even if you’re not doing the work yourself. Get some books and read up on forums like this one. 5) Ask if the contractor is licensed in the state, and be sure they have insurance. This is extremely important; if they do not have insurance, you are unprotected in every sense of the word. 6) Require that an estimate be given before beginning any work; electricians tend to add unspecified work, tools, or hours. Avoid this by having a clear, written agreement of work that is to be performed. 7) Compare costs between different electricians.. Get several bids, and make sure the estimates are comprehensive so you can tell exactly what you’re being billed for and how much the completed job will cost. See: Find Licensed, Local Electricians in Your Area. 8) Ask for a schedule of when he will arrive and leave. Before the work starts, find out how often and when he will be there. This is essential. For example, if you are building a new home, electricians will need to be on the site at the same times as the contractor to coordinate. If they are never there, or unpredictable, it could put your entire project at a halt. For further reading: Home Depot Electrical Supplies. 9) Pay for a reasonable rate for a professional electrician for the work to be done to code, and correctly. If the estimated price is suspiciously low, there is likely a reason for it. 1) Don’t pay anyone up front. This can lead to sloppy jobs, as if he has already been paid half the deposit or above for the work, there isn’t as much incentive to complete your project with care, or even at all. 2) Don’t let an electrician begin without the work in writing. 3) Don’t hire an unlicensed electrician without the proper credentials. 4) Don’t assume that cheaper is always better; as such, don’t assume that an electrician who charges a lot is “better.” Try to go on reviews, and word of mouth if you have the resources. You should be prepared to pay a reasonable rate for a professional electrician for the work to be done to code, and correctly. 5) Do not interfere with his work. If you found a good one, he knows what he is doing and you will have to trust him. I found an electrician who seems very qualified, but isn’t licensed. He also quoted me for lower than the two other bids I received. Is not being licensed really that big of a deal? 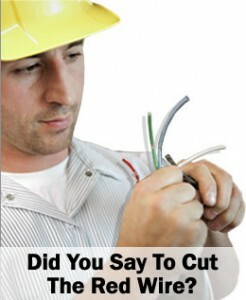 There are several ways that hiring an unlicensed electrician can hurt you as the consumer. But most importantly, it is dangerous. If they don’t hold a license, there is a reason for it. Either they were too lazy to put the effort into obtaining one, or they didn’t have the skills, education and experience required to be granted one. Remember an electrical license is something you earn, not something handed to you. This issue comes to light recently for a number of reasons, but the biggest concern with using unlicensed guys is safety. Yes it hurts the economy, and yes, it hurts the little guys like us making an honest living, but even more so it hurts the consumer. The average customer does not understand what it means to hold an electrical license and how important that it is to their safety when it comes to electrical work. These unlicensed “electricians” (as they like to call themselves) not only lack the license to perform the work they are quoting, but they also lack the education and often times experience, as well. In addition to that, they typically do not carry insurance either. So when something goes wrong, where does that leave you? You guessed it. You are on the hook for someone else’s mistake. God forbid they got hurt on your property while performing the job they weren’t qualified to do in the first place. Not only will you have paid them to do the work (good luck fighting that in small claims) but your insurance carrier will then have to fight the injury claim they could place on your homeowners insurance. Think I’m kidding? Run a quick google search and read the horror stories for yourself. Even if your insurance carrier doesn’t pay the claim, they still had to fight the allegations on your behalf. What do you think that does to your premium?